What a beautiful morning we are having here in my little part of New England. Do you realize that today is the last day of April? 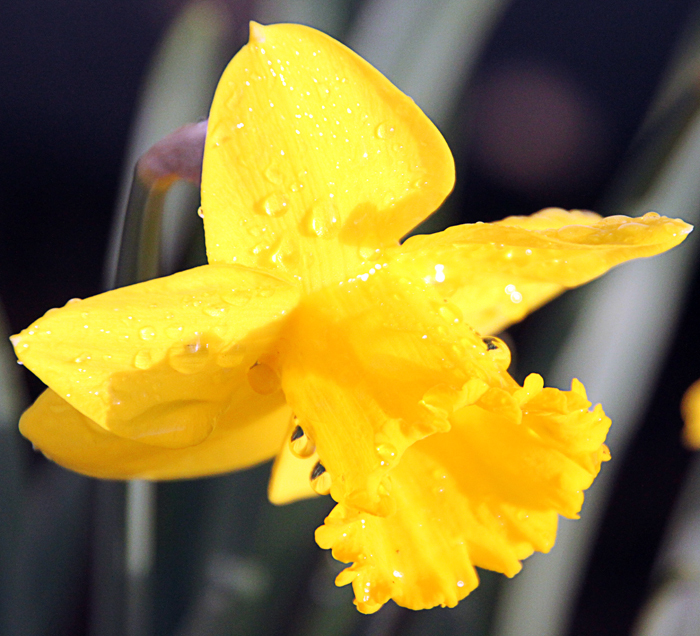 How is that the Winter months dragged by, while a third of Spring is already gone? It feels like the song "Don't Blink." Every time you blink, a part of life scoots right by and you've missed it. 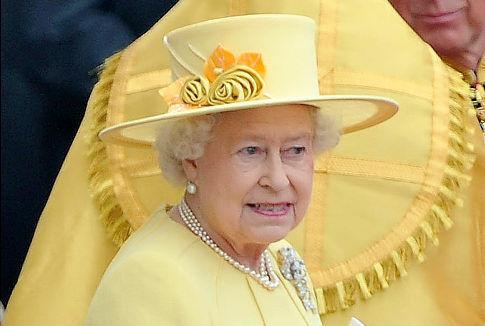 Did you all notice how lovely Queen Elizabeth looked yesterday? A friend sent me some facts about the Queen, and I looked them up on the web. 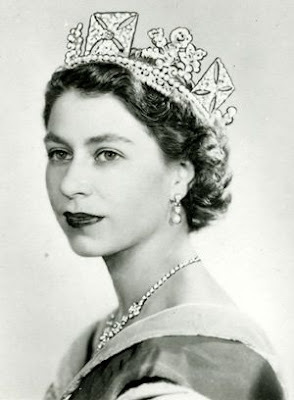 Elizabeth Alexandra Mary Mountbatten-Windsor (Elizabeth II) was born in 1926, and acceded to the throne on February 6, 1952. She has spent 59 years on the throne, and if she is still Queen on September 10, 2015, she will become the longest-reigning monarch in the history of the United Kingdom or its predecessor states. Queen Elizabeth II has occupied the throne through twelve of our presidents. Harry S. Truman, Dwight D. Eisenhower, John F. Kennedy, Lyndon B. Johnson, Richard Nixon, Gerald Ford, Jimmy Carter, Ronald Reagan, George H. W. Bush, Bill Clinton, George W. Bush, and Barack Obama. In my lifetime, there was only one more president, Franklin D. Roosevelt (in office when I was born). I find this absolutely amazing! I remember having the day off from school so that we could watch/or listen to the Queen's coronation ceremony. We were lucky enough to have a brand new black and white television back then, and could watch it. Here are a couple of photos of the Queen that I got off the web. The first is from her coronation and the second was taken at yesterday's royal wedding. I know I sound like a history buff, but I'm not really, although I do enjoy learning about people and things and their backgrounds. There is so much educational learning available to all of us and it is free!! We just need to take the time to look for it. It pleases me to know that my youngest granddaughter loves to read about historical people, places and events. I am also excited about our new birds. A few days ago, Joe hung up our new hummingbird feeder, and the very next day, we had our first hummingbird. Yesterday, I cleaned the kitchen windows so that I could try to get some photos. However, I guess I left streaks on the glass because my photos did not come out very good. I will clean the windows again and keep trying. The morning is flying by, and I have things to do here. Tonight, it's back to work for Bonzo here. First on my list is the dishes. I confess, I left them last night. Having been up since 4 am, I was exhausted by supper time, so Tootsie and I went to bed very early. Now it's time to pay the piper for the extra sleep. Tomorrow, I will be posting the GI Blog Train for May. 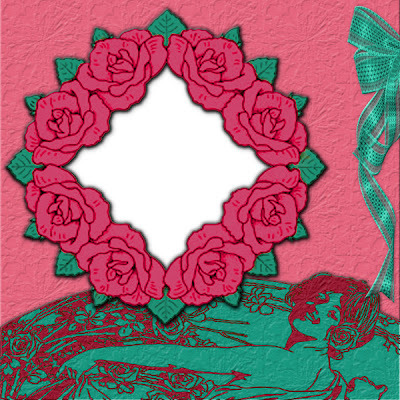 It was a Designer's Choice, and it is packed with all sorts of fabulous scraps for you. Till then, Y'all have a marvelous day. Good morning, and what a wonderful morning it is! I have been up since 4 am watching the Royal Wedding ceremony. I imagine half the world was doing the same thing. What a magnificent wedding it was, and the bridal couple were just so stunning. 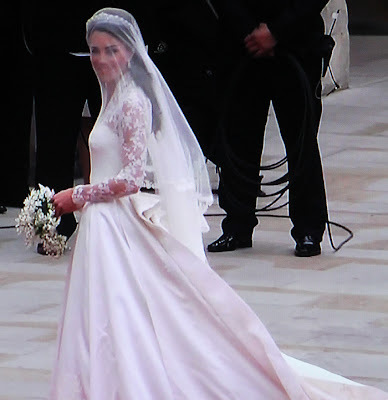 William's Kate is oh so beautiful!! 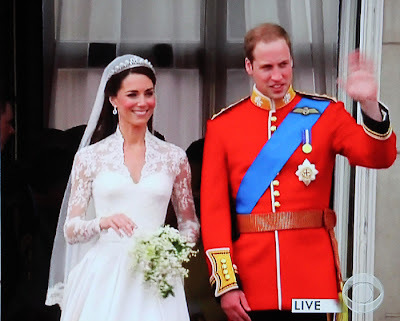 As a child, I watched Queen Elizabeth's coronation, and later I watched Phillip and Diana's wedding. This made it ever so special to be able to watch Diana's son William's wedding to Kate. I especially enjoyed seeing the Queen in her beautiful yellow outfit. At 85 years old, Queen Elizabeth is still a beautiful woman. I took a lot of photos from the TV in hopes that some would be good enough to share here. The first photo is the bride getting ready to go into the church. The next two show William and Kate exchanging their wedding vows. 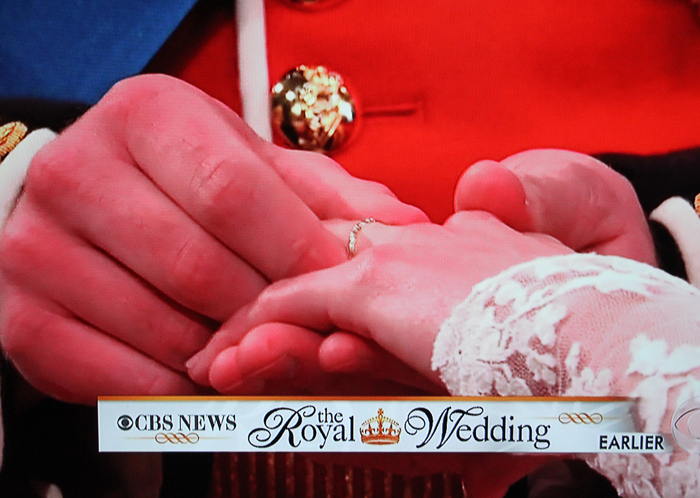 Next, William is putting the wedding band on Kate's finger. 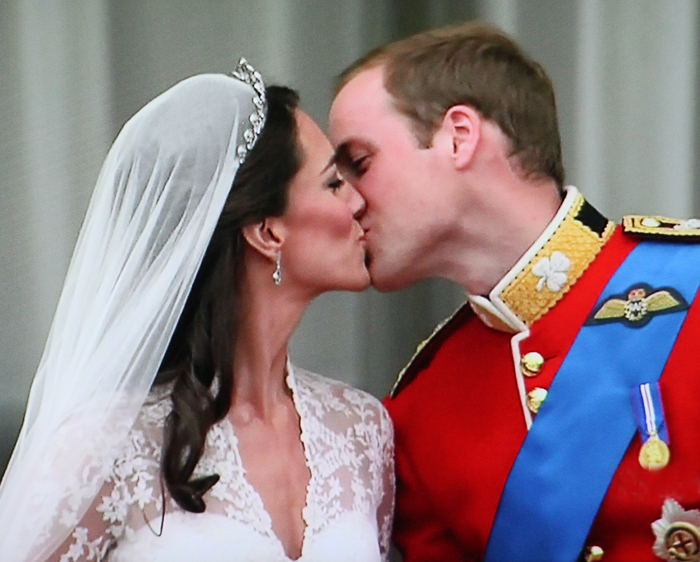 The last two photos were taken when the royal couple came out onto the balcony for their wedding kiss. 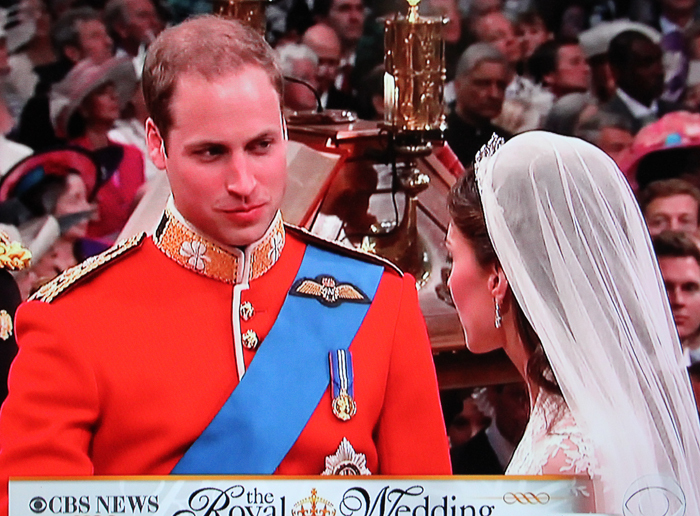 I wasn't even there in person, but oh golly, I enjoyed watching their wedding. 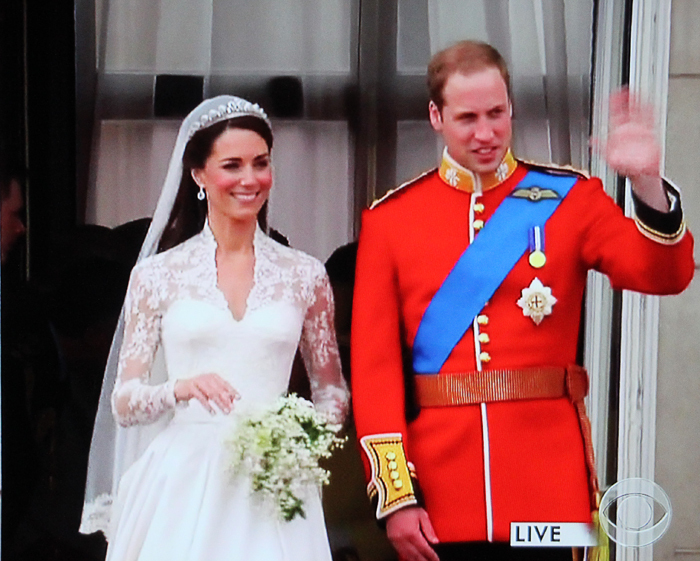 Such a beautiful young couple, and they bring such hope for the British Monarchy and tradition. 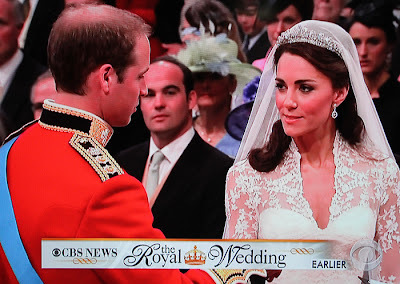 I think the world was ready for another beautiful princess, although Kate is now actually the Duchess of Cambridge. I'm off now to make another cup of coffee and maybe do a bit of laundry. But first, I have to share that yesterday afternoon our first hummingbird came to our new feeder. What a tiny little thing it was. Unfortunately, I did not have my camera with me at the time. But now that the hummingbirds know that we have a feeder, maybe I'll be able to get a few photos before the summer is over. That's it for now. Till tomorrow, Y'all have a magnificent day. Oh Goodie! More New Plants! Good morning all. It's a rather dreary day here - wet, windy and cloudy. I was so hoping to plant some new flowers in my garden today, but it may have to wait until tomorrow. My daughter in law, Janet, brought me some gorgeous purple tulips and white daffodils that have peach trumpets. Oh, they are simply beautiful!! 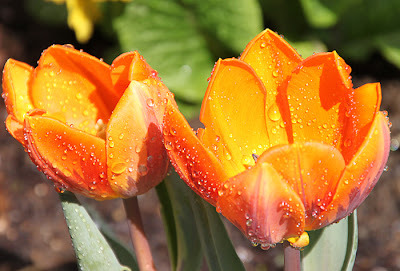 I will take photos of the tulips when they open. 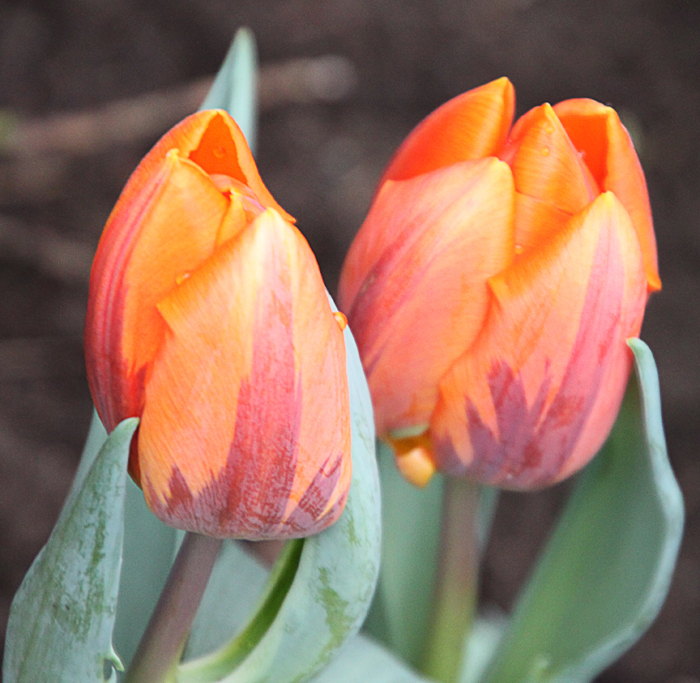 My red tulips are just starting to bloom along with my yellow daffodils. There's even new leaves coming on the rose tree. And, Joe put up our new Hummingbird feeder. Woo Hoo!!! Today, I think I will spend a while creating on the computer. I have a few freebies started and I want to get them finished. I also want to finish up my last blog book. Last night, I was finally able to click the "order now" button for the last half of 2009, and the first half of 2010. I will feel much better when they are all finished. 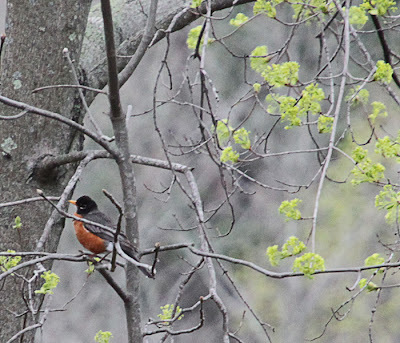 When I was leaving work this past Monday morning, I spotted a Robin in a tree across the street. 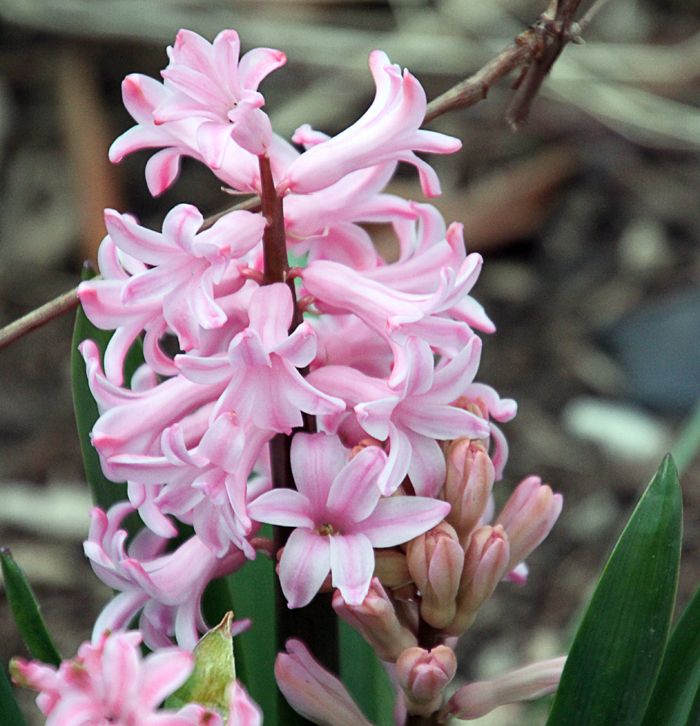 I shot the photo because it reminds me of all the good things that Spring brings us, especially new life. Seeing as how I have been home this whole week, I was hoping to go to the ocean and get a few new photos to share, but so far I haven't made it there. Maybe tomorrow afternoon. We'll see. I did get to spend a few hours visiting with Janet, and that was nice. All moms should be blessed with a wonderful daughter in law. Now I think I will get busy and do a few things around here. You know, make the bed, wash a few dishes, and use the broom for something other than midnight rides. Halloween isn't the only night that Tootsie and I go out riding! Till tomorrow, Y'all have a wonderful day. Gosh, There Are So Many Storms Everywhere! Good morning. Our weather channel predicts more rain showers for us today, (even though the sun is shining at the moment) and possibly thunder storms tomorrow. It looks as though we may get a bit of sun from Friday through Monday. I was so hoping to get the sun all this week because I am off work until the weekend. So be it! Our weather patterns have definitely changed significantly. I remember when severe storms and tornadoes happened a lot less frequently. Now, it seems, they have become a way of life. The only good part is that now we can usually be warned before they hit us. Yesterday, Tootsie and I got out to do a couple of errands, and then I spent the afternoon trying to get caught up on my blog books. I have now finished the second half of 2009 and the first half of 2010. I'm hoping to have the second half of 2010 finished before the week is out. For those of you who weren't here when I first started this, I have my blog uploaded to a company who prints it as a hard cover book. After the first year, I now do six months at a time because I post a lot more photos and scrap designs. 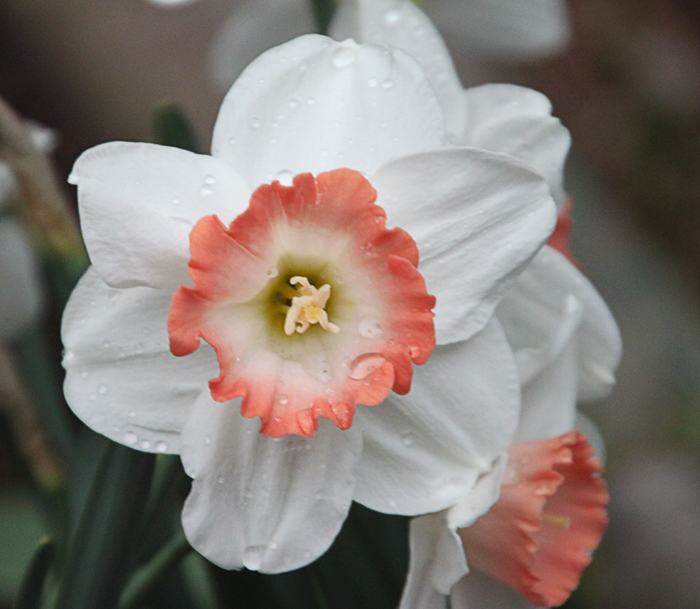 This morning I have a couple of flower photos to share. 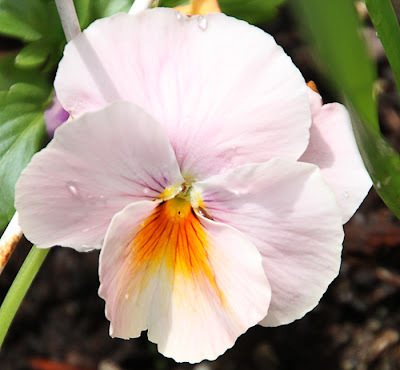 The first one is from one of the Mrs. many beautiful floral arrangements, and the second is a lovely little pansy in my garden. Now it's time for me to get dressed before my daughter Deanne gets here. Her leg has been healing slowly but surely, and she is getting around much better now. Till tomorrow, Y'all have a fantabulous day. 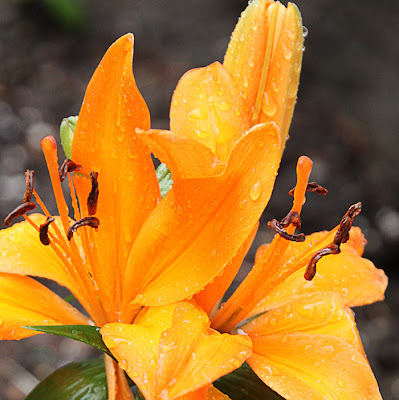 Good morning, and yes, it's still wet and gray here. The weatherman keeps promising us some sun and warmer temperatures, and I sure hope he means it this time. After a while, the gray wet stuff gets to be a bit depressing. Yesterday, Tootsie and I got to do a couple of errands, but not all of them. So today we will get back out and try to finish. The most important thing, of course, was to pick up her medicine and we did get that done. I purchased a few filters for my lens, and they came yesterday. I especially needed a polarizing filter. These are great for taking photos of the sky, and things that have a shine or glare on them, like windows or water. I already have filters, but they don't fit this lens. Every lens has a different mm size, so you need a set of filters for each lens. I've been looking to see if the local school offers any adult night classes in photography, but so far no luck. Our high school doesn't seem to have any classes at night for adults or anyone else. I guess next I will see if anyone at the senior center is into photography. It would be so much more fun to have other folks around that share the same interests. I am not used to being on my own all the time. It takes a bit of getting used to. For so many years, I had my kids at home, and by the time the last one was an adult, I was married again. In later years, I always had my hubby and my brother around and one by one they too had to leave for a different journey. I am so thankful that I still have my Tootsie with me. I'm thinking that maybe it's time to spread my wings and check out the senior center. My friend says that they play Bingo there, and it's been a long time since I've been able to go to a Bingo game. Hmmmmm, worth thinking about! Today, I have a couple more photos of my "Friday's Birdies" to share. 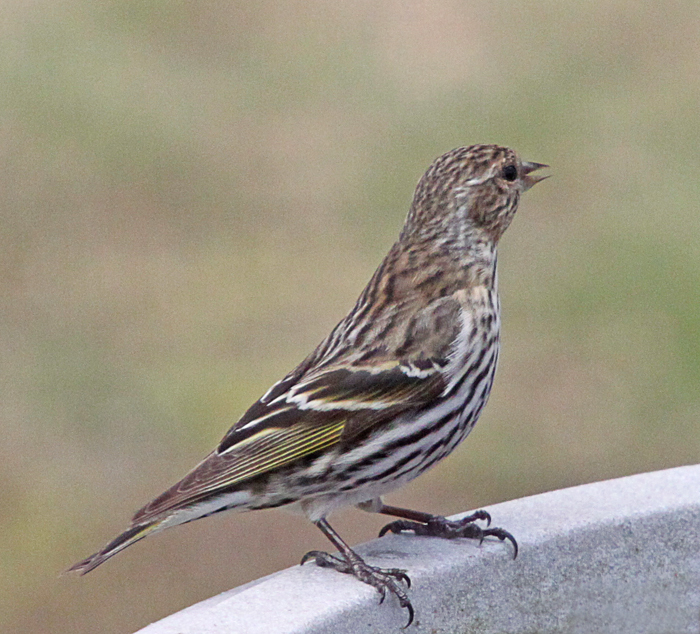 As you know, my "Friday's Birdies" are photos that I take on Fridays at work. Of course, I work, but I also take photos every chance I get. And these two little cuties were just too adorable to pass up. As promished, I have another freebie for you. It's a cheery QP that says "Spring Is Here!" I hope you ccan use it. Well, I've finished my coffee and done most of my morning blog hopping, so now it's time to get dressed and get busy with today's errands. Till tomorrow, Y'all have a fantastic day. Gosh! It's Raining! What Else Is New? Tis a bit wet and gray here this morning. There's no playing in the garden at the moment, but maybe I can do a bit of shopping. We're running out of a few things, and Tootsie's snack bag is almost empty. I'm watching the shopping channel and they are showing fashions. On the screen now is an adorable denim shirt with a flouncy ruffle on the bottom, and of course they are showing it on a six foot woman. Wonder why they don't show it on a five foot, pudgy little lady. Are we supposed to go naked or live in mu mu's? This skirt would make us look like large petunias! Even better are the handbags!! Only rarely, are they ever under $100. The usual price range is between $150 and $300. These are the discounted prices!! Almost all of the bags are big enough to use as an extra suitcase. It can't be very comfortable trying to lug these bags around all day, especially if you put anything in them. Gosh, what we women do to be stylish!! Enough already. Let's get on with today's photos. 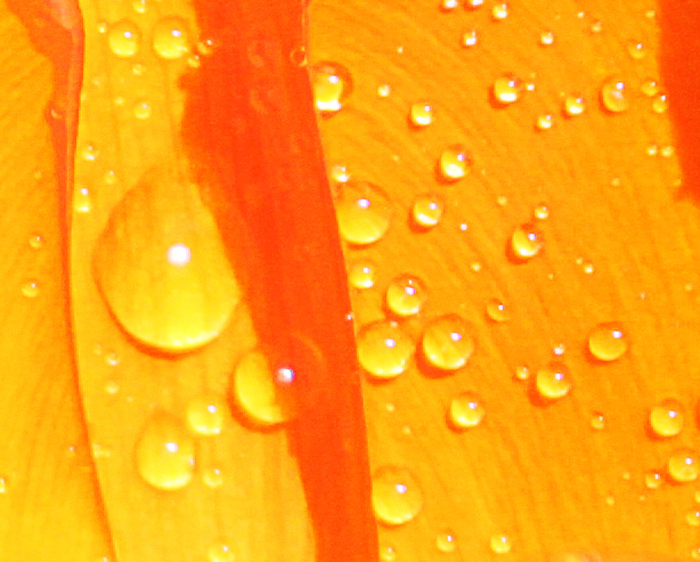 One of the things I really love to photograph is the raindrops on leaves and flowers. I find them very pretty and interesting. Can you guess what this photo is? It's the inside of a "Princess Irene" tulip. Here is the whole tulip and a lily covered with rain drops. 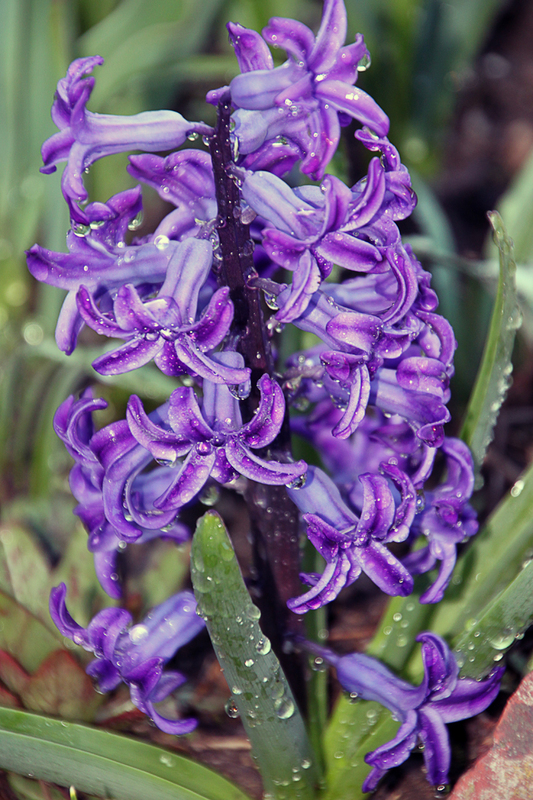 There is just something very soft and pretty about flowers when they are covered with rain drops. And, here is a fun little fellow who lives in my garden. 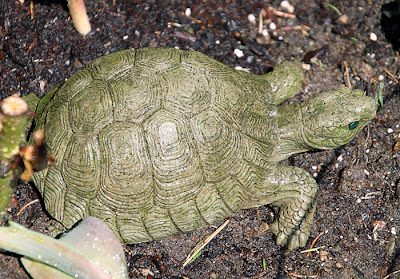 I think that figurines and little animals put a bit of spice in a garden. That's about it for this morning. I want to make a cup of coffee and start my day here. Tomorrow, I'll have another freebie for you. Till then, Y'all have a fantabulous day. Good morning, and here's wishing you all a very Happy and Blessed Easter. It's a bit gray here, but it's not raining. Perhaps the sun will pop in and out during the day. I hope so, because I want to do a bit of garden work in between my shifts today. I'm at work this morning, and will be back here tonight. Yesterday, we had planned on clearing out a part of the yard for the new lilac plants, but it rained all day. So maybe this week we'll have better luck at getting a lot of the yard finished. Because I have to work today, I cooked us (me, Tootsie and the dwarfs) an Easter dinner yesterday afternoon. I thought I had bought a regualr ham, but to my surprise when I opened it up to prepare it for cooking, it was a spiral cut ham. Yeah! Makes it so much easier to slice. I'll get right to the freebie because the Mrs. will be waking soon. Today I have a whimsical Easter QP for you. I also have a couple of photos to share. Both photos were shot through the kitchen window at work. The first photo shows the Forsythia bushes coming into bloom. Note the arrow on the first picture. 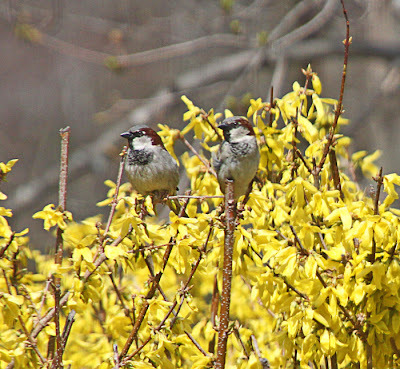 There are two little Sparrows sitting on a branch, (see second photo) watching the activity at a nearby feeder. Well, that's it for this morning. It's time for me to get busy here. Till tomorrow, enjoy your Holiday, and have a fantabulous day. Caution! This Blog May Contain A Lot Of My Thoughts And Opinions! Good morning. It's wet and gray here, but my flowers really do need the drink. Did the title this morning catch your attention? It was meant to. I want to clarify a few thoughts regarding my blog. This is MY blog. And I can and will say, post or write whatever I wish to. That does not mean that I will purposely slander or try to hurt someone. I do not ever intentionally put anything on my blog that is meant to slander or hurt someone else. So, if something that I have written here hurts your feelings, you've probably read more into it than I actually wrote. I cannot be held responsible for the super sensitive feelings of some of the folks who come here to read my blog and catch up on my ramblings. If something on or about my blog offends you, be an adult and send me an email explaining how it is that I offended you. Don't leave a lot of trashy comments here, because I will erase them and ban you from my blog. The easiest thing to do if you find my blog intolerable is to erase the link from your computer. When my husband died a few years ago, I turned to my PC, digital scrap booking and photography to occupy my mind. I made new friends and started this blog. It was a place for me to think out loud, and share photos and scrapbook stuff. 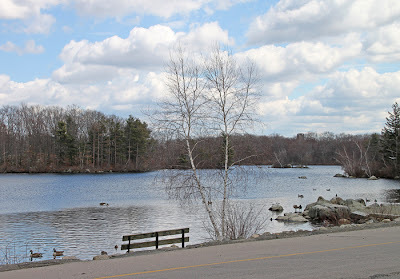 This blog filled a lot of the empty space that I was muddling through. One of my daughters had also died recently in a car crash. On top of that, I lost my brother a few months ago. So you see, that's a lot of muddling to work through. My little blog, and my new friends and hobbies, have given me a purpose to keep going and to have a good frame of mind. 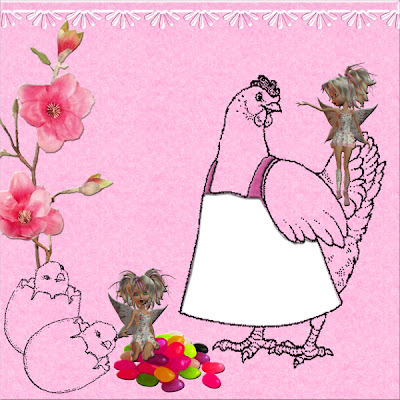 I should also add that my little Tootsie has made every day a joy to be here. I try never to post any photos without getting permission first from whoever is in the photo. If someone has asked me not to ever mention any information about them or post any photos of them, I have respected their wishes and left them off my blog. If there are friends and family who never get mentioned here, it does not mean that I do not love them, it means that they have asked to be omitted from here. So I guess the long and the short of it is -- if things that may or may not be here on my blog bother you -- please just erase the link from your computer. You will be much happier, and I will definitely be much happier knowing that I did not cause someone any grief. Now for my usual chit chat. Yesterday, Jazzy came by and we did quite a lot of scanning. Now I have lots of new goodies to play with. When I took her home, we (yes, Tootsie too!) stopped by the local Dairy Queen and indulged in the mmmm mmmm goodness of their ice cream cones. What a great way to end the day. 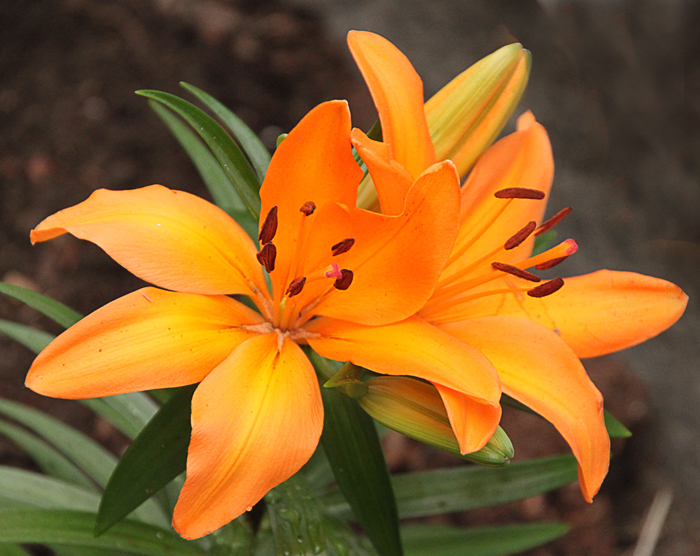 For my photo today, I will show you the new orange Lily in my garden. Ahhh, it's such a beauty!! Any wonder why orange is my favorite color? I also have a freebie for you today. 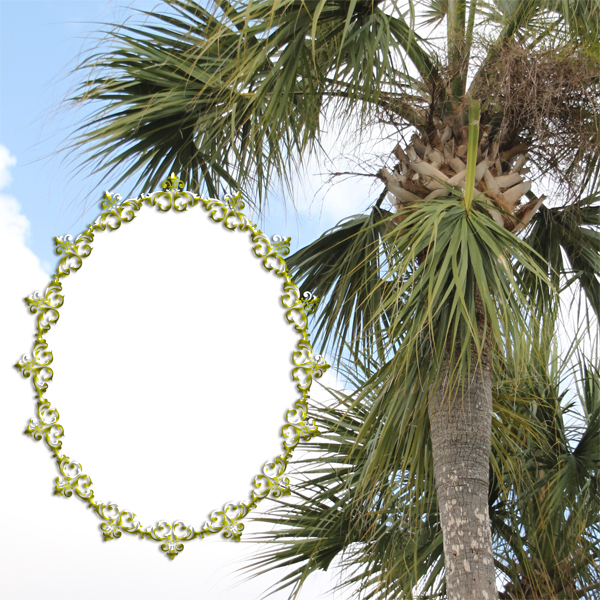 This is a QP that I made from my vacation photos in Florida this past winter. It's just a fun QP to chase away the cold weather doldrums. I hope you can use it. Tomorrow, I will have more freebies for you. Now I want to make a fresh cup of coffee, and catch up on some my blog reading. Till tomorrow, Y'all have a fabulous day. Good morning. The sun is shining and the temperature is in the 30's. But it's still a bit early, and it may warm up yet. Yesterday was just gorgeous, except for the wind. All day long, we had a cold wind blowing and it did not let up until late in the day. I'm at work, so this may be a rather short post. 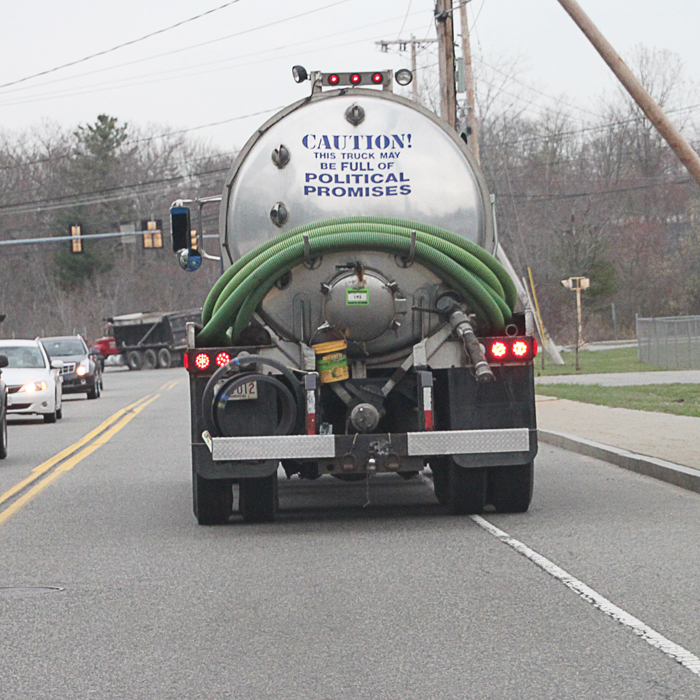 For photos this morning, I thought I would share a humorous one that I took a few days ago on my way home from work. There was a large truck in front of me, and the writing on the back of the truck said it all. So plain, so simple, so honest!!! I have another freebie for you, but I haven't uploaded it yet. I'll try to have it ready for you tomorrow. This weekend, I am hoping to clear out the area where my new lilac plants will be going, and actually get the plants into the ground. They will be a really pleasant sight next Spring. There must have been a misunderstanding as to when the crew would show up to cut down the dead trees. Last weekend, the man said that they would be here on Monday. By Wednesday, I figured that they were not coming. Yesterday, I called to see when they would be here, and the man said "When would like the job done?" HELLO!!!!! What part of "We'll be here on Monday" did I not understand correctly? I told him I needed it done as quickly as possible as it was holding up all the other yard work. So, he said they would be there today. We'll see. If they do show up, I hope there are no snaggles, because I am not there to help out with any answers. Also, the last dumpster that I rented last summer is still sitting in my yard. They never came to pick it up, and sadly, I never bothered to call them. It wasn't in my way, and it was covered with snow for most of the winter. Now I must call and have it removed, and maybe get a new one. I think I can hear the Mrs. stirring, so it's time for me to get busy here. Till tomorrow, Y'all have a great day. Oh what a beautiful sunny morning it is here. Even though the sun keeps going behind the clouds and then popping back out, it's okay. I blossom in the sunshine. (The Spring sunshine, that is!) 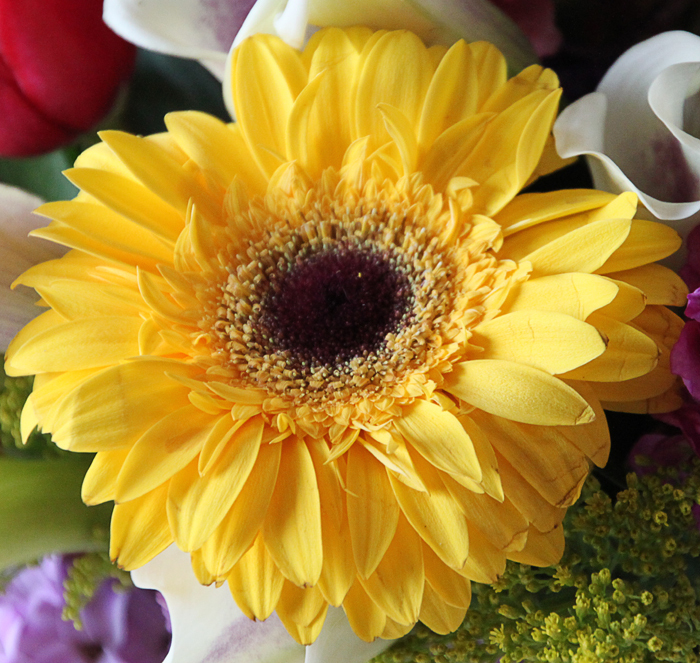 Yesterday afternoon, I spent some wonderful time with Jazzy, and then we went shopping for a few more flowers. It is difficult for me to go through a craft department or a gardening department and not come out with a bag full of goodies. I know, I know, it should be so easy. But there are so many wonderful new crafts waiting to be made, and so many gorgeous flowers needing a garden to bloom in. And I really was very, very good! I only bought a couple more plants. The salesperson said there will be new stuff coming in another week or two. I want to save a little space for the new stuff! When Joe got home from work, he and another of the dwarfs went outside and planted all of my new bulbs and flowers. 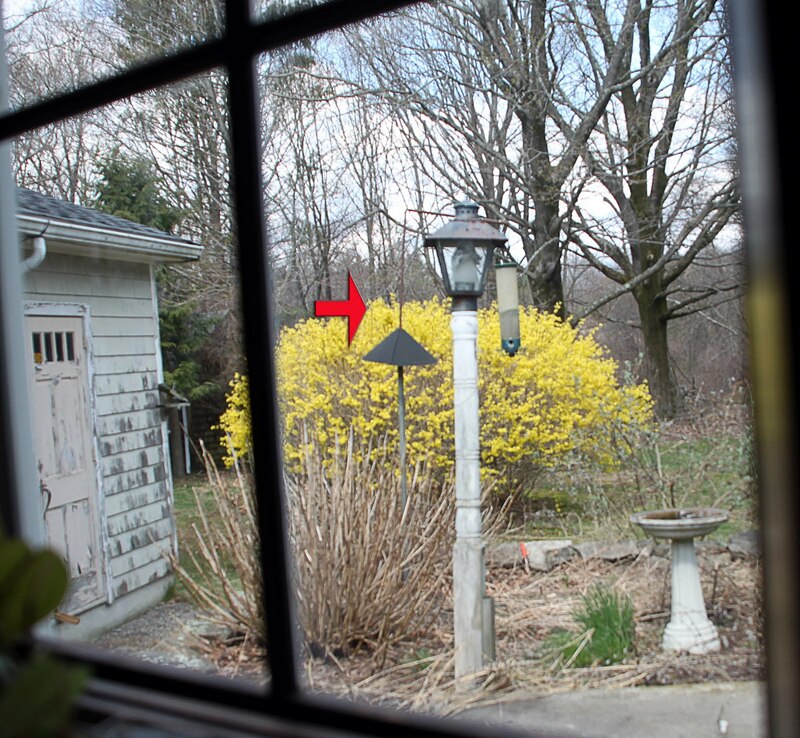 This weekend, we hope to be able to put in some new lilac bushes. As for the grass, I am still waiting for estimates. I guess I had figured that with work being so scarce, the estimates and actual work would happen a lot quicker. I guess I was wrong. This morning I have photos of some of my flowers to share. 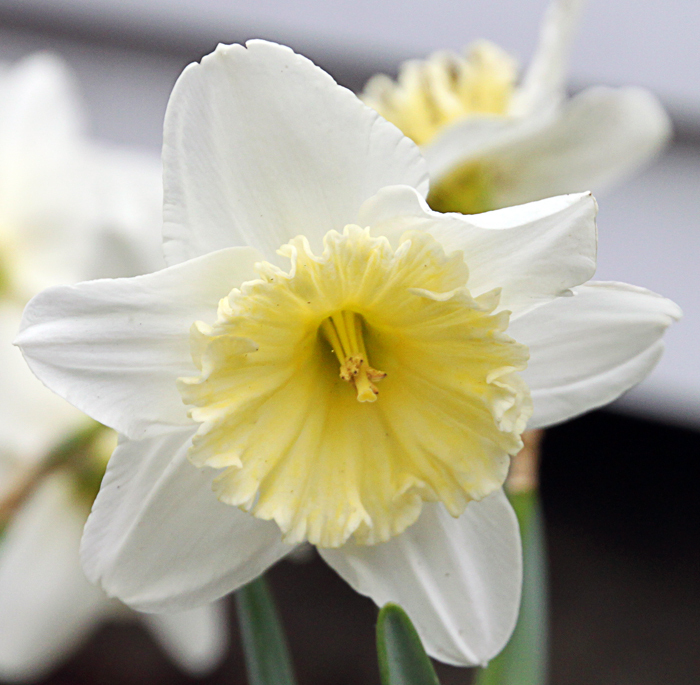 The first photo shows one of my beautiful daffodils. The second one is the "Easter Bunny" "Princess Irene" tulips, and the last photo is a beautiful, smiling pansy. I have friends and family in parts of the country where the weather has been truly horrible lately, and I'm so hoping that Mother Nature will start behaving and send some nice weather their way. It's been a long Winter, and we all need the soft sunshine and warmth that comes with Spring time. Now I must get hopping here. I need to be dressed and ready to leave for an appointment in less than an hour. Till tomorrow, Y'all have a funtastic day. So Now You Know, I Have Wrinkly Hands! It's still a bit gray here and I haven't been outdoors yet to see what the temperature is like. Our weather cannot make up it's mind whether to rain or drizzle or whatever! So I guess in between little wet drops, I will attempt to get outside and plant a few things. There is a bright side to the gray, damp weather. It won't cause any sun wrinkles! Not that wrinkles are a priority of mine. I have enough to last me for a lifetime. Besides, I have my Olay wrinkle chaser stuff in the pretty maroon jar on the bathroom sink. Does it work? I think so. The forehead wrinkles don't seem to be as prominent anymore. I think I really need to use it on my hands because hand lotion does not do a thing for wrinkles except to make them softer. It does no good to get rid of the wrinkles on the face if the hands still look old and wrinkly. Have you ever noticed that on someone with a gorgeous facelift? Then they hold up their hands, and oops! 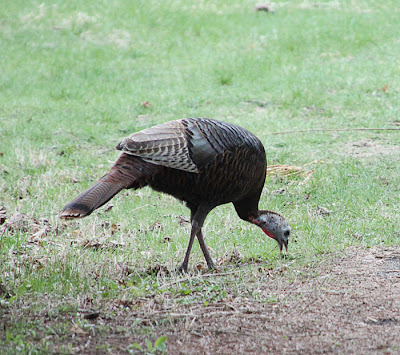 On my way home from work this past Monday morning, I had to stomp on my brakes to miss hitting Madame Turkey. I don't know what the rush was as no one or nothing was chasing this little beauty. 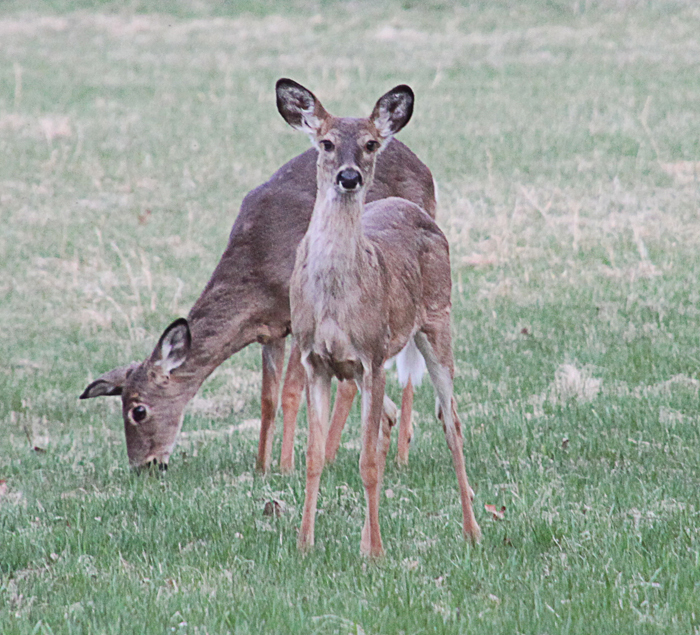 So after it got by me and into a yard, I pulled over and got out my camera. The turkey, by now, was way down in someone's backyard but I managed to get a couple of photos. Maybe the bugs and worms tasted better here, who knows. 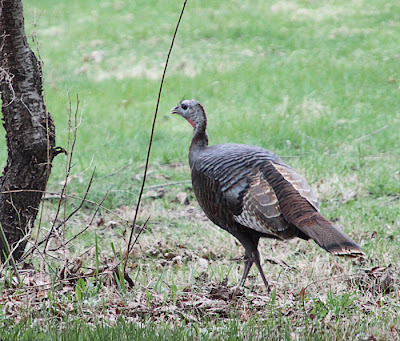 These are first wild turkeys that I have seen so far this year. In fact, for quite a while. I wonder where they have all gone? Hmmm, I'll have to ask around. This morning, I called Tamron to get information on the differences on two of their lenses. The one I use, 18-270mm, and the 28-300mm. I guess the biggest difference is that my lense can get a wider angle shot than the other lens. I wish someone could make a lightweight lens (one that is carryable) with a much longer reach. Maybe 400 or 500mm? I know they already exist, but they are not much fun to lug around. In the past, I have rented the bigger lenses when I want to try them out, but I thought it would be nice to have one handy whenever I want to use it. I know, I know, we can't have everything we want!! And I really am thankful the rental option is there for whenever I need it. It's time now to get outdoors and decide where to plant the gorgeous orange tulips that the Easter Bunny dropped off in my yard yesterday. I really do love the color orange. It is so bright and energetic and happy. Plus, I only have an hour before my granddaughter Jazzy gets here to help me with the housework, so I really should get dressed. I don't want to scare her away! Till tomorrow, Y'all have a wonderful day. Oh yeah, I lost big time!! I should have bought two of the rose trees the other day because when I went back yesterday to get another one, they were all gone!!! There are some days when I should not be let out of the house because my thinking cap isn't working right. Ah well, the good part is that at least I got ONE! 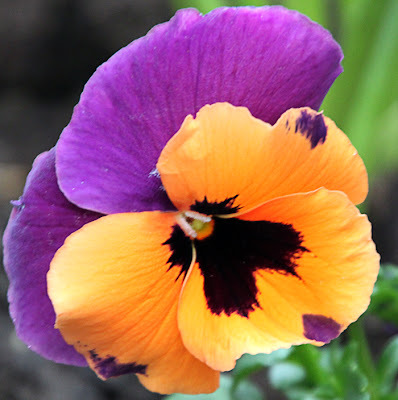 I ended up buying another rose plant, some more bulbs, and an assortment of pansies. Oh, and lets not forget a new wisteria plant and a lilac plant. I miss my beautiful lilacs from where I used to live. I almost got some forsythia too, but it wouldn't fit into my car. It is dangerous to let me loose around so many beautiful plants! I was so hoping to be able to play outdoors today in the gardens, but it's looking like the weather man has different ideas. He is talking about rain for today, tomorrow, and again later in the week. Maybe this is a sign that I should stay indoors and do a bit of house cleaning? Bite your tongue! 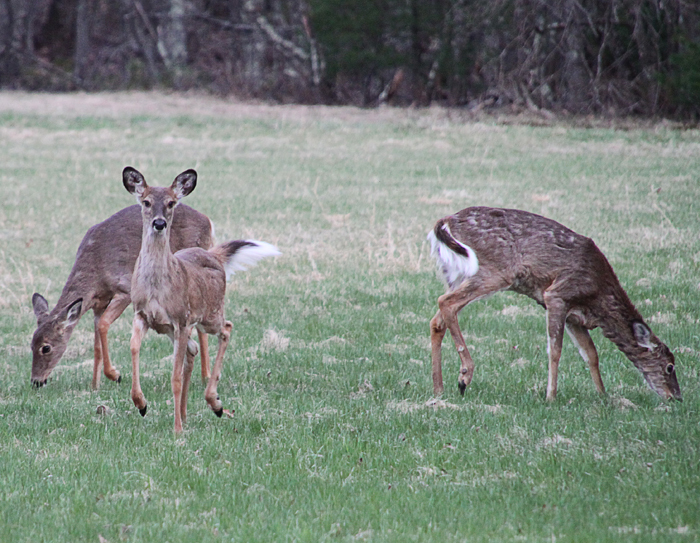 When I got to work yesterday evening, there was a whole herd of deer grazing and playing in the field across the way. I always try to get to work early just in case I get lucky and the deer are there. 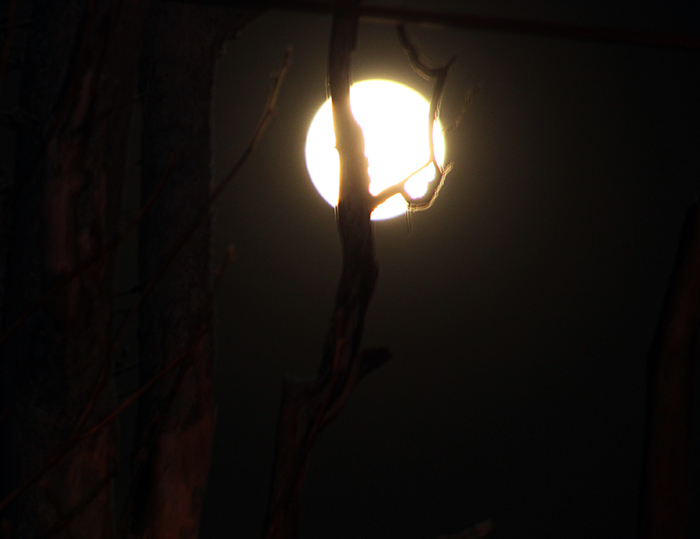 I got out my trusty camera and starting clicking away. Here are just a couple of the photos I was able to get. I would love to get up really close, but then the deer get skittish and run away. I don't ever get tired of photographing Nature and all her wonders. There is so much beauty there and it's everywhere. My only regret is that I did not take up this hobby when I was much younger. On the other hand, I did get to pursue other dreams and hobbies so maybe now is my time with the camera. Well, it's six o'clock am, and I need to be checking on the Mrs. again. I'll be heading home in another hour to my little Tootsie. Today, I will take her shopping for some more of that new doggie food that she likes so much. Till tomorrow, Y'all stay safe from the bad weather everywhere, and have a wonderful day. Can You Tell That I'm Just Loving Spring? Oh, God Bless Me, it's another gorgeous morning here in my little part of the world. Before leaving work this morning, I hopped on over to read Kyra's blog, and now I'm drooling!! 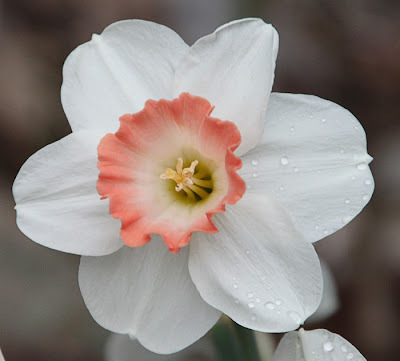 She has posted photos of her garden and all the beaufitul blooms. You know darn right well that later this morning I am going plant shopping again!! I think the tree guys are coming this morning to remove the dead trees on the side of the house. I'll have to get out there with my camera and get a few shots. After that, it will be time to go for more plants. I want another of the tree roses to put on the other side of the front steps. I think that should make it look rather nice. I have the last two parts of "It's Raining, Duckie Darling!" for you, but first I want to share a couple of photos. Yesterday morning, after a stormy wet night, this shows the sun coming out from behind the dark clouds to brighten up the day. Is this not beautiful? I really must order a new set of filters for my lens. I do have filters but they do not fit this lens. Especially the polarize filter, because it would take away the glare and make it easier to get these shots. The other photo is one I took last night around 9 pm. I looked out the window, and the moon was simply magnificent! So big and round and bright! I went outside to get some photos, but not too many were good enough to share. These were all hand held, and last night my hands just would not cooperate. I finally leaned against my car to help keep my arm steady, and got this beautiful shot. Seeing as how I have a busy day ahead of me before heading back out to work tonight, I best get on to your freebies. 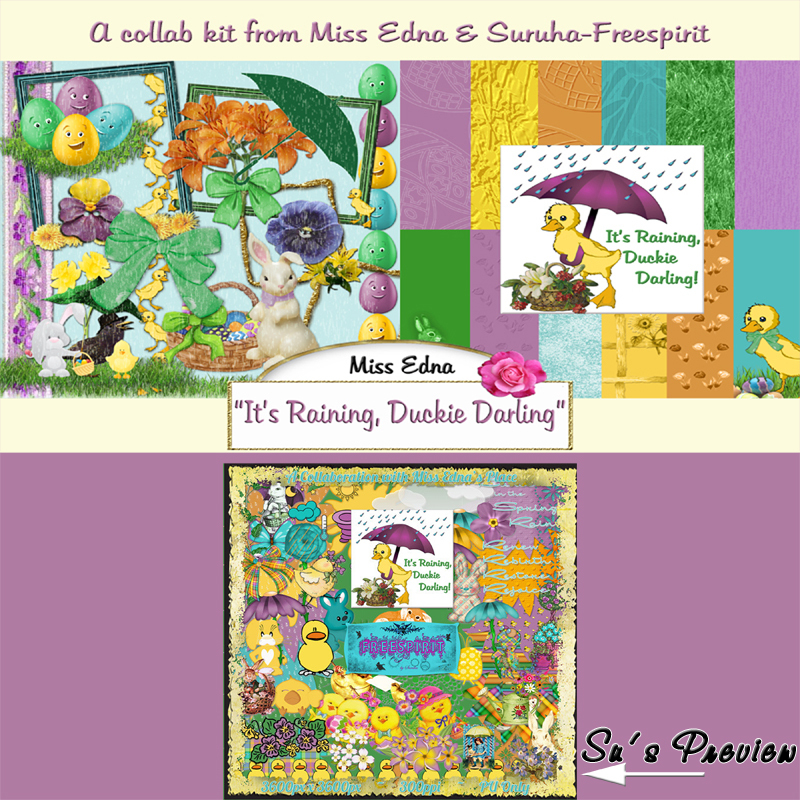 Here are my last two parts of our whimsical April kit, "It's Raining, Duckie Darling." When you've finished downloading, be sure to visit Su's blog to pick up her two parts. Enjoy!! Now I'm going to enjoy a delicious hot cup of coffee, and get busy here. Till tomorrow, Y'all have a fabulous day. Tis a wee bit soggy this morning. All night long, the wind howled and the rains came pouring down and for about an hour, there was thunder and lightning. At some point, the winds died down, and shortly before dawn the rain stopped. I read a few chapters in a book that I recently purchased. "The Book of Unholy Mischief" by Elle Newmark is not exactly the sort of book that I would normally read, but something about it called to me. It starts off on the streets of Venice in the year 1498. Hmmmm, I will reserve any comments until I have a few more chapters under my belt. I also worked on my contribution for the GI May Blog Train. That will be coming up soon, on the first of May. Tonight, I will see about working on our new collab kit for next month. It depends on how much of a nap I am able to catch today. It's been a long shift so far, and I still have four more hours before I go home. When I get there, I'm expecting someone to stop by and give me an estimate for cutting down a couple of dead trees. Then I will make a couple of calls to get new estimates for loam and hydraseed. After that it will be nap time for Bonzo here. I have to be back here to work again this evening. I do have a couple more of my "Friday's Birds" to share this morning. The first photo is a beautiful yellow finch, perched on a branch with new leaf buds. 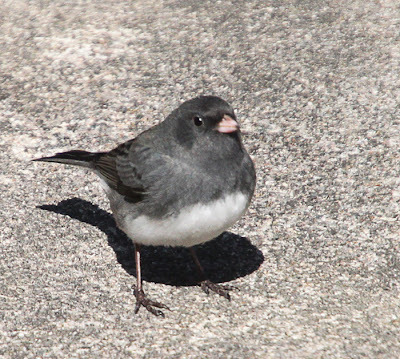 The second photo is a fat little robin, busy digging for worms. 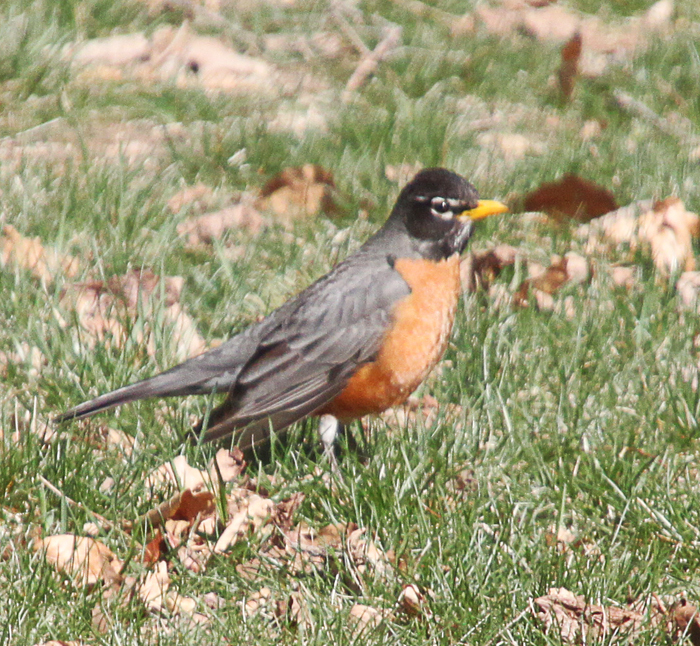 The robin isn't quite as clear as I would like as it was a bit of a distance away. Now it's time for me to get busy here. The Mrs. is awake and wanting her breakfast. 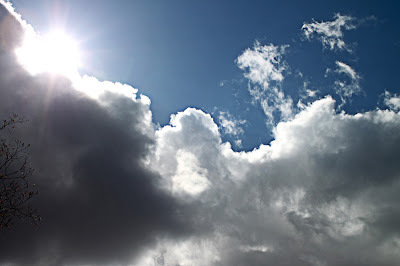 As I write this post, the sun keeps peeking in and out, and there are bits of blue showing between the white clouds. So maybe it won't rain today too. We'll have to wait and see. Till tomorrow, Y'all have a wonderful day. 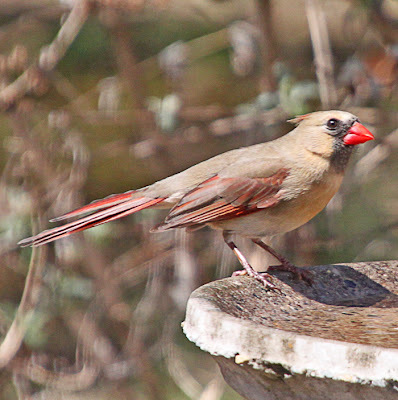 This morning we are enjoying another lovely day, sunny with temps around 50 F. It's a good day to clean out another small garden area, and plant some new stuff. I just happened to buy us a rose tree, more daffodils and an assortment of flower bulbs. Oh, I forgot, a regular rose bush too! The rose tree will have soft pink blooms, and the regular rose bush will have a reddish orange color (I think). We'll see when things actually bloom. So far, five of the six tomato plants have poked through the dirt, as well as three of the cucumber plants. These two will be the upside down plants once they are big enough to put outdoors. Most of the dwarfs are enjoying the plants. Note that I said "most." There is always one who would rather grump at everything. We did go to Christmas Tree Shoppe after work yesterday, and I picked up another matching plant table. Last night, Joe put the new table together, and transferred some of the seedling plants to it. It looks really nice. I have a busy work schedule starting tonight. It's a 17 1/2 hour shift tonight and tomorrow morning, a 12 hour shift tomorrow night, and another 12 hour shift Monday night. I'll be a wee bit tired by Tuesday, and will probably need a long nap that day. I finally got the written estimate in the mail from the landscaper that I was going to hire to do the yard, and now I am re-thinking my decision. First of all, I am a woman, not a man. I was a woman when I stopped at his business the first time, and when he came to look at my yard. I was still a woman when I went back to his place of business to ask about dates for the work to be done. So why is it that when the written estimate came, it was addressed to a non-existent "Mr."? Does this inconsiderate person think that I cannot possibly pay his bill because I am a woman? The other service people that I deal with call me "Mrs." Miss" "Ma'am" or Edna. They don't seem to think that I need a man to pay my bills. So what is wrong with this particular clod? I should reciprocate and forward his written estimate on to heaven. By the time he gets an answer (if he ever does) I will already have found a new contractor. Now I have to hunt around for another estimate. It shouldn't be too difficult because there are a lot of companies looking for work. I also need to have two more trees cut down and removed. 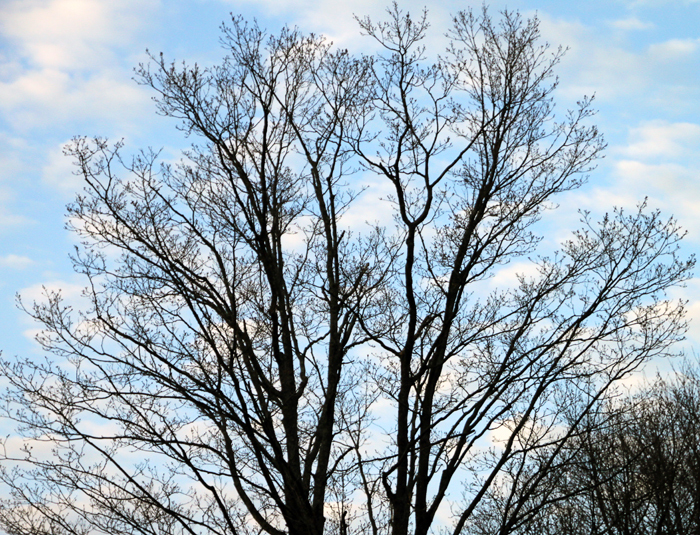 Not to fear, they are dead trees, but they are too close to my house. 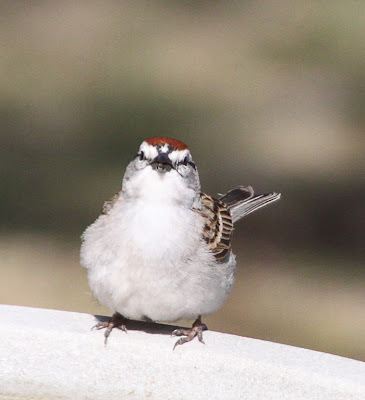 I have a couple of cute "Friday's Birds" photos for you. The first is a Dark-Eyed Junco, and the second is an adorable little Sparrow. Now I think I will get dressed, put in a load of wash, and go outside and play a bit in the garden. Joe is already busy out there. I want to make sure we use the new fertilizer on the new plants. That's all the news for this morning, so till tomorrow, Y'all have a fantabulous day. It's Great Weather For Shopping! Good morning. The sun is shining and hopefully, the temps will warm up like yesterday did. It was so gorgeous yesterday, that when I got home from work I got Tootsie and went shopping. I found a really nice wooden plant table at The Christmas Tree Shoppe. Joe put it together last night, and it sure does look nice. So, this afternoon, I will pick up Joe and Tootsie when I get home and go buy another one. After that, I'll try taking some photos. We now have four of the six tomato plants poking up through the dirt, and two of the cucumber plants. None of the flower seeds (except for my pot of wild flowers) and strawberries have started yet. Last year's Topsy Turvy tomatoes yielded only a small handful of teeny tomatoes. I'm hoping we do better this year. At least we get an "A" for effort. I'm at work, so I'll get right to the photos and the freebie. 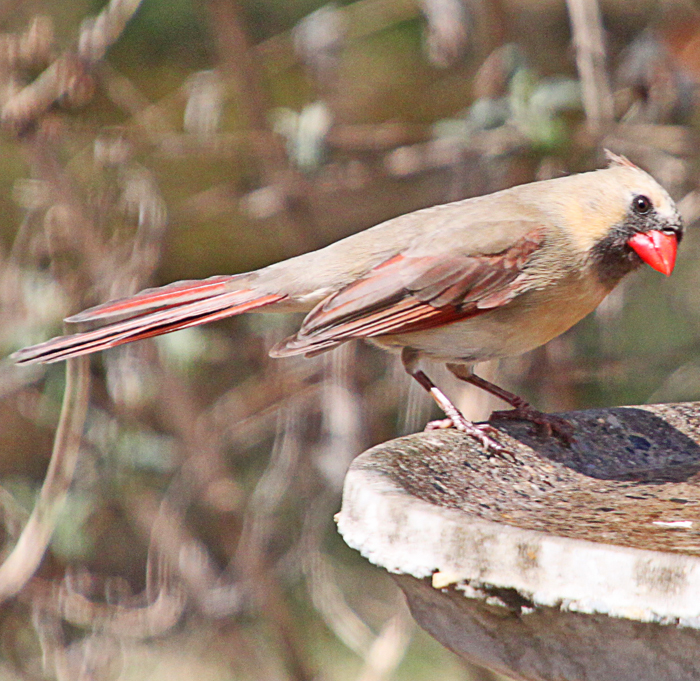 Today I have photos of Mommy Cardinal taking a break at the bird bath. Thhis morning's freebie is a QP that I meant to post in February, but never did. I hope you can still use it. This morning, there are lots of fat Robins running around outside looking for worms. I have tried to get a couple of photos, but the Robins are a bit skittish. Maybe that's because I saw a hawk circling around here yesterday. Oh dear, poor birdies! Now it's time for me to get busy here. Till tomorrow, Y'all have a fantastic day. It's a beautiful sunny morning here in my little part of the world. I am back to work, so this will probably be a short post. I am doing a few extra shifts this week and next to cover for a friend of mine who has to be out for a couple of weeks. Wayne stopped by last night and took care of my PC. What would I do without this man? I guess my whole problem was with Internet Explorer. If it acts up again, we will have to update it. We also discussed the best way to get away from Vista (that is what is in my PC). If I end up replacing the PC at some point, Wayne says it's best to use a laptop instead. He said that people are getting away from desk top PC's. Hmmm. Food for thought. Our birds our slow to come back this Spring. I'm not sure why, but I hope they all get back soon. 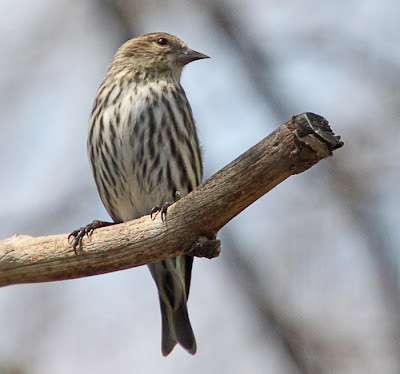 I miss waking to lots of chirping and singing outside my window. In the next few weeks, I want to make some bird nests to place in the yard. Maybe that will help a bit to keep our birds here longer. Yesterday, the hydrangea plants arrived. Now I can't wait for the loam to be put in so that I can start planting in the yard. By the time the loam is in, the flower seedlings should be ready for planting outdoors. 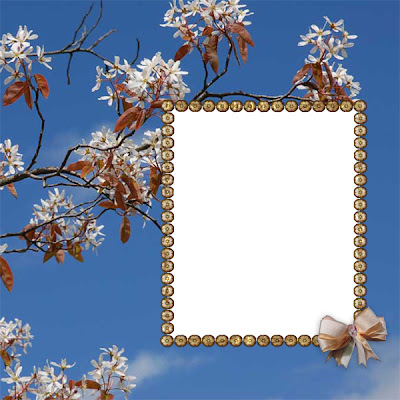 I have also been busy making new QP's, and hope to have one posted for you tomorrow. Till then, Y'all have a wonderful day. Tis quite wet outside today. Even though we had a sprinkle or two yesterday, the day was mostly gorgeous. But then all good things must come to an end, and during the night the rain caught up to us. My plants seem to be okay with the weather because they are growing like weeds. 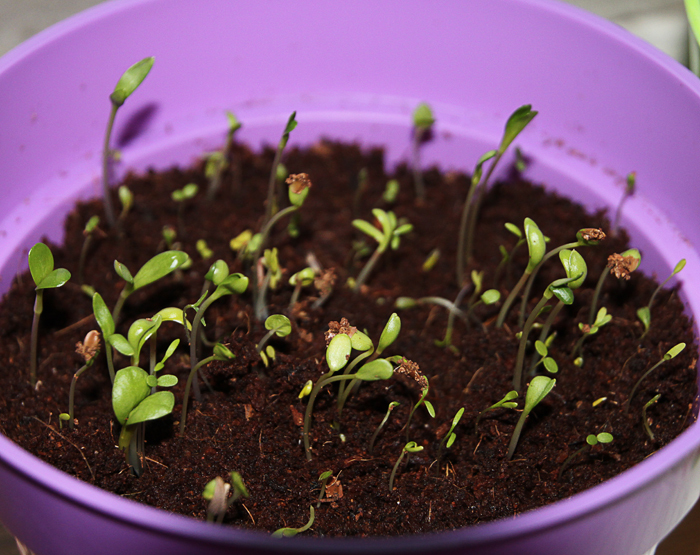 Even the wildflower seedlings are sprouting like crazy. I have to keep turning them because they keep leaning toward the window for the sun. (Either that or they enjoy watching the squirrels and the birds outside the window.) Every few hours, they seem to change and grow. Here's a photo that I just took to show the difference in just a couple of days. 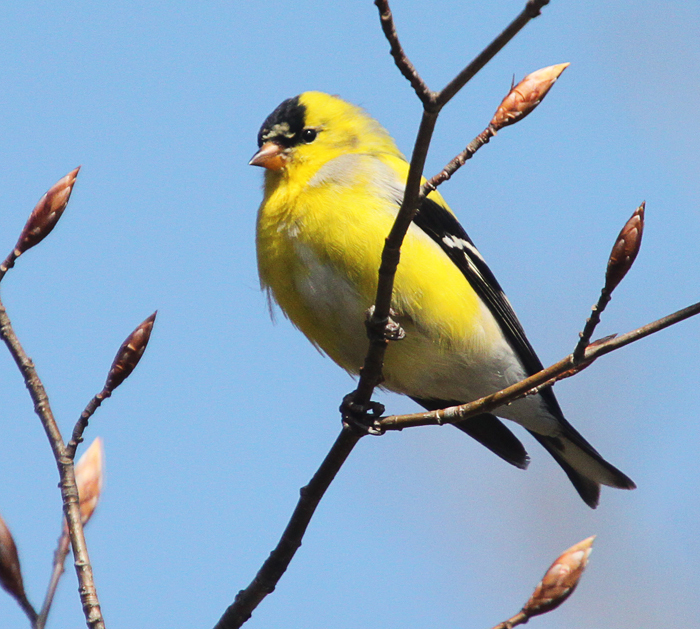 I have a couple more photos that look a bit more like Spring. These were taken at work a few days ago. For some reason, their plants seem to blossom a lot sooner than mine. Maybe we have different soil? 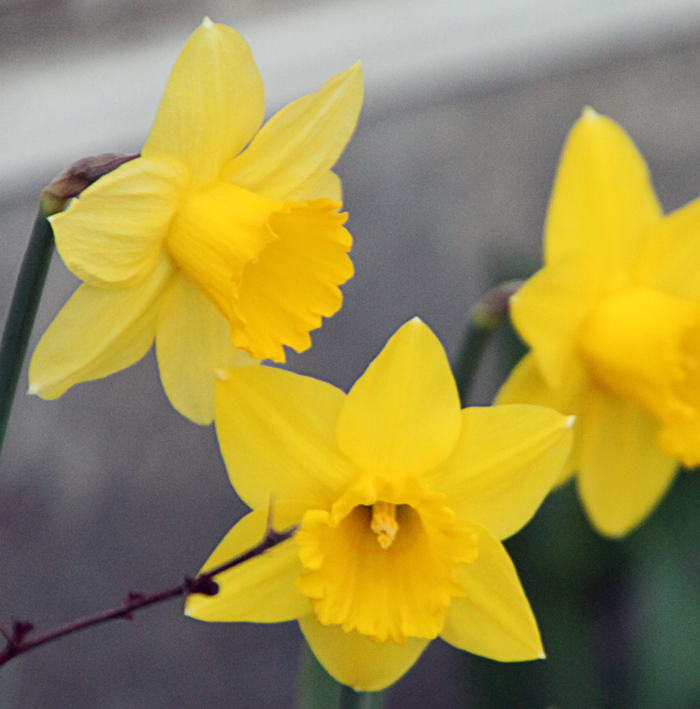 Their garden is a blaze of yellow daffodils, while my little daffies are only a few inches high out of the ground. Outside, I can hear the thunder roll on by every now and then. I was hoping to get out today to do a couple of errands, but I will have to wait and see now. As long as it is just raining, I won't mind going out. We need another end table for one of the rooms in the main part of the house, and I would like to pick up a plant stand for the kitchen. I had to put in a "rescue me" call to Wayne because my PC is not playing very nice with Internet Explorer. I could switch to Mozilla, but then nothing on my desktop will work unless I re-do all of it. It's not exactly a winning situation for me. My senior brain does not seem to want to deal with the tech stuff. So Wayne to the rescue. If that man ever moves away, I am in deep doo doo. That's all for now. Time to get dressed and start my day. Till tomorrow, Y'all have a fantabulous day. Good morning. Believe it or not, yesterday turned out to be a really gorgeous day. The sun came out and the temps went up. Today, so far, is looking a bit gray and damp at the moment, but who knows? The weatherman is promising showers today with lots of rain tonight and tomorrow. I'm not complaining though. I've been watching the horrible fires burning in Texas, that are spreading into Oklahoma, Missouri and New Mexico. With all the weather disasters that are occurring all over the world, it makes me wonder when man will sit up and take notice that he needs to work harder at living with Mother Nature and keeping the peace with her. Man is busy at chewing up all of the land available and showing it no respect, while killing off all the beautiful flora and fauna. When will man learn? This morning I have a photo of the pond where I get a lot of my photos. 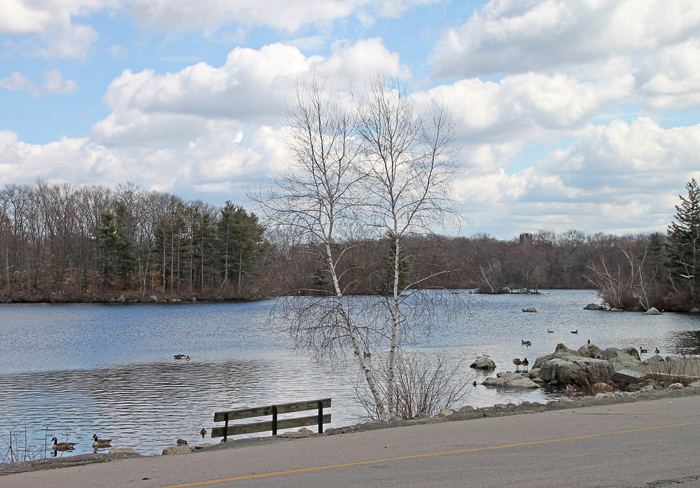 We have a really beautiful park with several large ponds in it. There are always people there, just walking or feeding the ducks and geese. 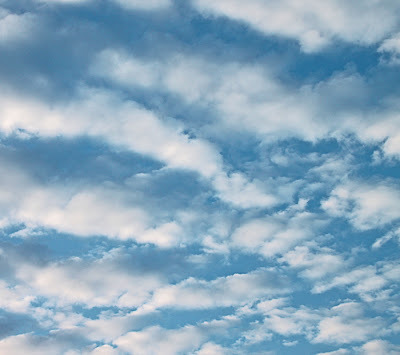 The next couple of photos are ones that I took early one morning to show the beautiful spring sky. You don't have to look very far to find beauty on this land of ours. Before I sign off, let me post a preview of Su's part of "It's Raining, Duckie Darling." 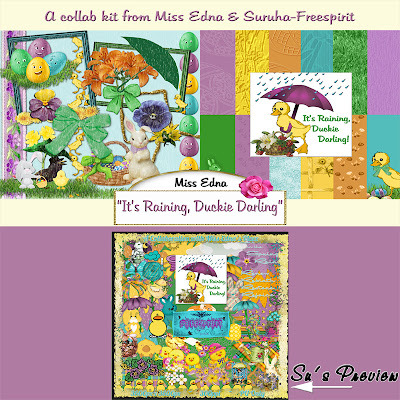 We had a lot of fun putting this kit together, so I hope you are able to use it for your Spring and Easter photos. 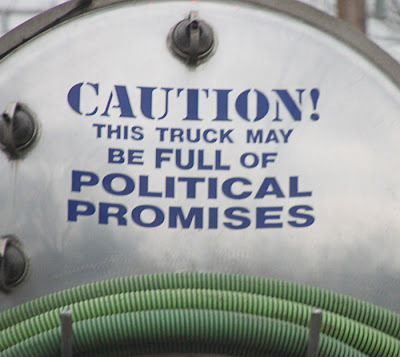 Sorry folks, but Blogger is not letting me add any more photos here. I just tried three times, and it won't budge. Some days you just can't win!! Now I think I should get busy here. I have lots to do, and only a couple of days to get it all done. Till tomorrow, Y'all have a fantastic day. One Just Can't Have Too Many Flowers!